This weeks Reader Under the Spotlight is Iris, I tend to think of Iris as one of our 'neighbours', as she along with Julia run a Filofax Blog called Filomaniac in Germany, written in German but English speakers and commenters are always made very welcome over there. I can remember helping Iris and Julia decide on the name for their blog! About me: I am 41 yrs old today and live in Bavaria with my husband, my cat (Mikesch)... and my Filos. 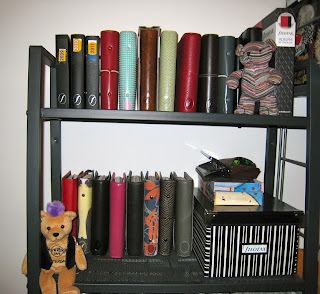 I have been obsessed with ringbound planners since 1997. After discovering Philofaxy in April 2009, I decided that I wanted “the real thing” - so in October 2009, I bought my first Filofax, a Personal Guildford. Before Filofax, I’ve used these German brands: tempus, org-rat, bsb-obpacher. I do love all of them, but right now, I like the Domino Snake best: it’s lightweight, durable, wipes clean easily, lays flat right out of the box. I like the Snake’s black interior even better than the “standard” Domino’s “suede-style”. Household/Reference Some others are used as archives/to hold diary pages. The flexibility of the loose-leaf system; the variety of colours and styles. Not sure about the colour, but the Filofax of my dreams would definitely be a Personal that lays flat, with an elastic pen loop and a full width back pocket (like some of the Pockets have). Handbags are another passion of mine – whenever I’m out and about, I’m carrying my Filo in my handbag. At home, he sits next to me on a table as I keep taking notes & checking off todos all the time. When I go to sleep, I put him on the shelf (next to the other Filos) to keep my cat from messing with it. Next on my wishlist is the Journey (only available in Sweden). We’ll be travelling to Gothenburg in July and I’m hoping to get one there. I’m also planning to add a Finsbury to my collection as soon as I find one on sale. Neither DH nor my family & friends will ever understand my passion for stationary and planners, so it’s nice to “meet” other Filofax fans. Everybody is so kind and friendly; and I love to read how others use their Filos. And of course, I find lots of inspiration for my own blog! What’s not to like? Honestly, I can’t think of anything. Melody Gardot, “My One And Only Thrill”. 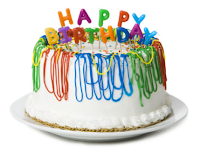 Thank you Iris for stepping under the spotlight... and happy birthday for today from everyone at Philofaxy. 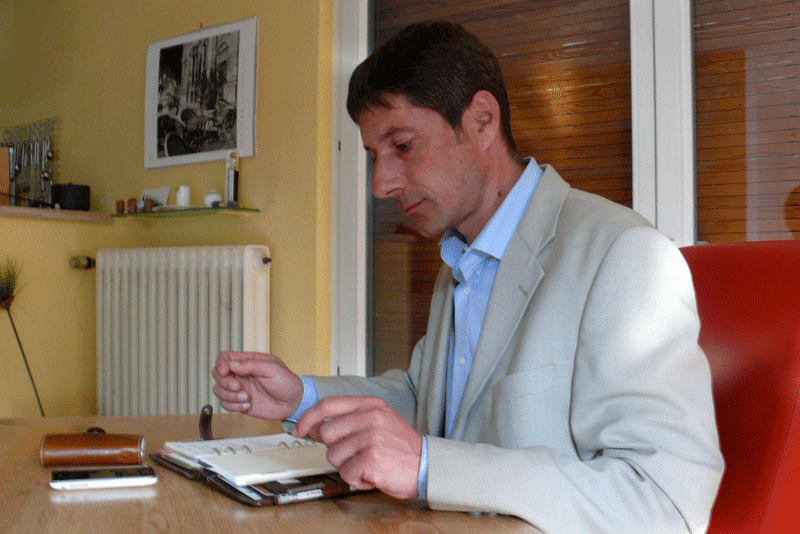 Many thanks to Nan for inviting me to be a contributor to Philofaxy! I had been a guest poster and long-time commenter, so to have the opportunity to be a regular contributor was (and continues to be) very exciting!! Huge thanks to Steve for all you have done in the past two years for this blog and our community. Your technical genius is surpassed only by your warmth and friendship. Thank you! And, thank all of you Philofaxy friends who have read my Filofax musings, angst, frustration and joy over the past two years through multiple moves and life events. You all have been a rare continuity for me throughout all the changes and upheavals in my life over the past two years, and I thank you all for your unfailing support and positive vibes through it all! Here's to many many more years of Philofaxy, for the love of Filofax! Have you ever tried mapping your time, either in advance or in the past so you can see what you have been doing or what you will be doing? 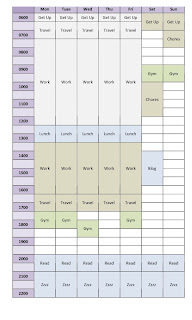 I have been very short on time recently, so thought I would time map my day to give it a bit more structure and to make sure that I don’t neglect important things like exercise. I thought other Philofaxers might like the template. The template is in MS Word. You could either print out a blank one and fill it in, or, as I did, fill it in using Word. I merged cells to create the timeslots I wanted and then colour coded the cells. Grey for work, green for health, blue for well being... It gave me quite a nice overview of how I spend my time. I put it as the first page of my diary section, so I can find it easily. Also attached is an example. The only problem is that being personal sized it is quite small, so doing it on the computer is probably easier. Once printed out, it’s fine to read. You can print it out using the instructions I sent through a while ago. The file is available in the files area and linked to in the above. Thank you Helen for send in your idea. New Poll - When do you read new posts? If you didn't know already, we tend to schedule most posts on the site for a future date and time. That way we try to keep an even flow of posts throughout the week without us having to write something every day. I quite often have a few ideas to write about and these can then be slotted in when there's a gap etc. But I'm interested to know when people read the new posts. I can see from the stats that the number of visitors tends to drop on Saturdays and Sundays. Mainly because you will be busy with other things I guess. Anyway, I would appreciate it if you added your vote to the poll in the side bar. 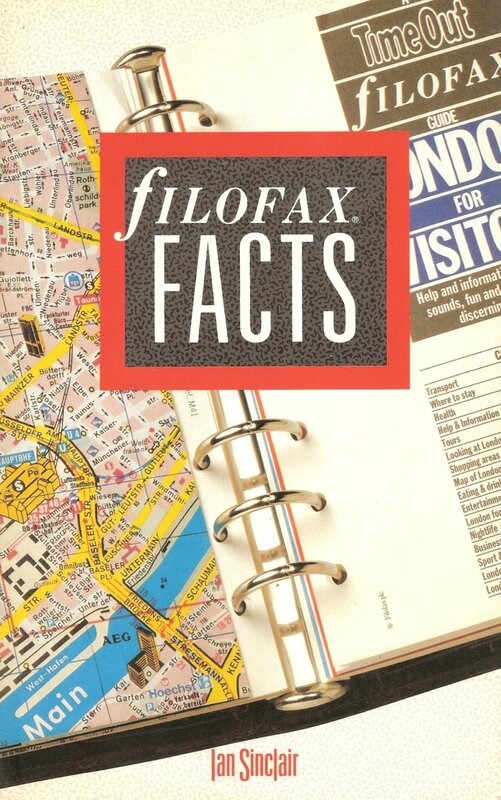 Think of a question.... any question... as long as it is about Filofax, we are hear to try and answer it. Craig has been in contact to ask if anyone would be interested in attending a meet up in Edinburgh at Jenners department store, where there is a wide range of Filofax products. The previous date was to have been 2 July, but no one was able to make that date. So now Craig has asked us to announce this meet up again, but leaving it to those that can make the journey to Edinburgh to suggest a suitable date. If you are interested, please email Philofaxy philofaxy at gmail dot com and put “Edinburgh Meet Up” in the subject line. Those emails will be forwarded to Craig and he will then email the interested parties and create a list so that we can start discussing ideas and the date and timing. We are going to run another conference round-table voice chat using Skype. The last one was a great succes. When? - Sunday 3rd July from 10am (US East Coast time), 3pm London time, 4 pm Paris time 9pm Jakarta etc. See the clocks at the top of this post to see roughly what time you should be on line. What do I need? 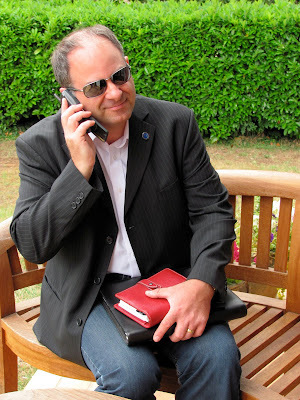 - just a micro-phone and some head phones(in ear phones work fine) and a free Skype account. Using headphones reduces 'echo' on the call. Hope to be chatting with you on Sunday 3rd July. I mentioned about the radio interview I did back in November 2009. The link to the show still works, but I couldn't see the show available on line. So I've extracted the interview out of the recording I still had and you can take a listen for yourself. At the time, I was 'exploiting' every opportunity to get Philofaxy some publicity, I didn't think for one minute that I would be contacted as quickly as I was on the Saturday afternoon only a couple of days after I sent in the email. The phone call lasted about 30 minutes and we chatted quite a bit about the site and how it came about etc. But obviously they didn't want my interview to take over the whole show! But 5 minutes or so wasn't too bad and I got to plug the site address. I still keep in touch with Jamilliah, she still works for BBC, the show Pods and Blogs has been renamed 'Outriders' since the interview took place. Yes the series is back for another run of readers going under the Philofaxy Spotlight. The first willing volunteer is Thomas from Germany, being my fellow 'co-star' recently, he hardly needs any introduction does he.....! My name is Thomas, for those following me (or not) on Twitter @Tommes_S. I'm a true Filofax user and into everything internet as well since the mid-nineties. 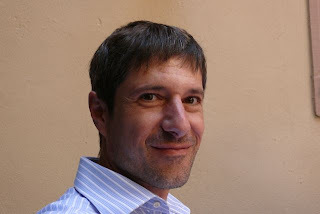 I have a blog of my own at http://tommes-s.net. Most entries are in German, because my addressed readers are mostly German friends and family. Lately, there have been some English entries as well. You are welcome to read and comment, but I have to admit that most topics aren't Filofax-related. And I would like to say thank you to Philofaxy for the honour of being a 'Reader under the Spotlight'! I have never thought of using anything else after buying my first Filofax. I tend to be true to a brand, once I'm decided. 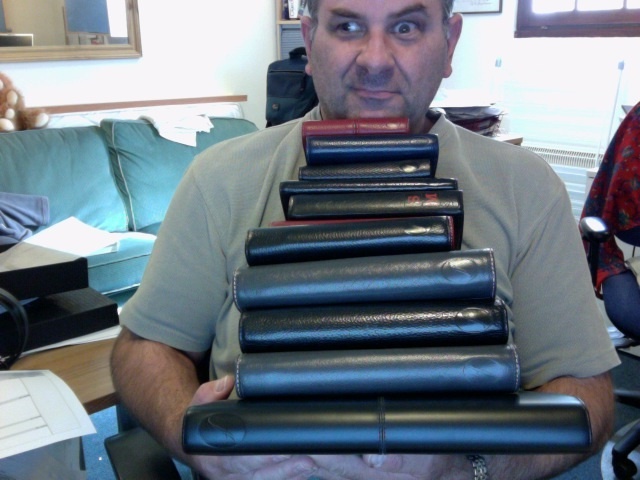 Besides my Filofax, I use a lot of Moleskine notebooks. I have a couple of plain ones, which I generally use in my job. Lately I have bought a Moleskine Passion notebook 'Gardening' to keep track of my bonsai developments. 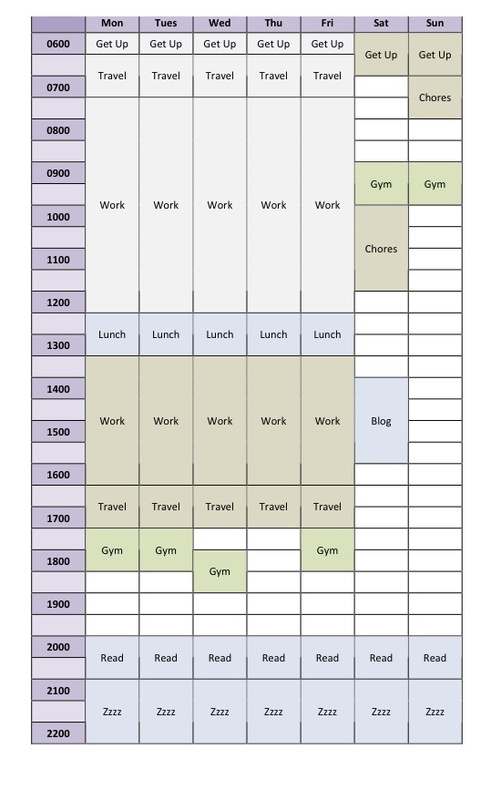 Lately, I have given up the idea of 'One life - one planner'. 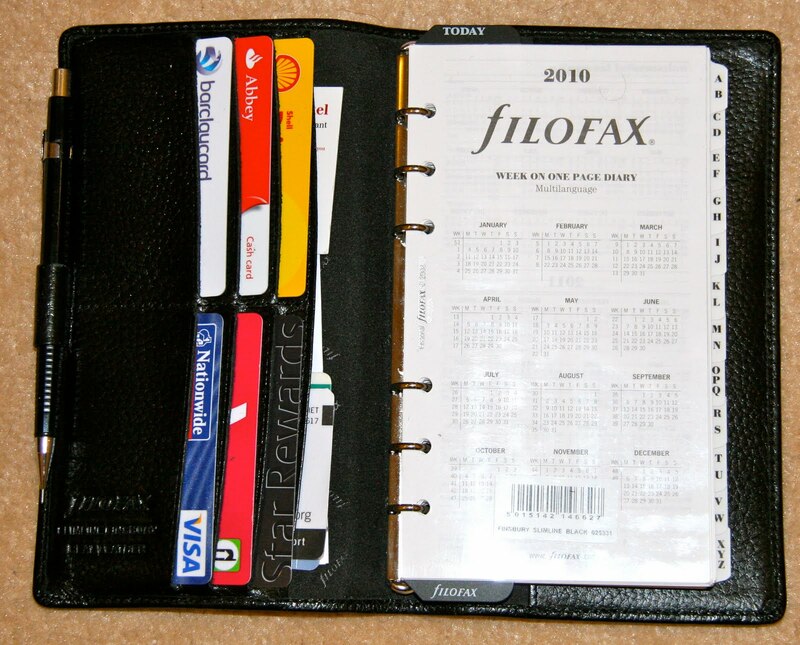 When I started using a planner, Filofax was THE brand, probably also driven by the movie. Although my first planner was no genuine Filofax, all my inserts were 'originals'! It's just the variety and versatility you get from them. I still believe that they create the broadest range of things you can put into and use. They even set a standard with the ring sizes, you can buy a lot of different accessories from other brands, that still fit in a Filofax. And yes, I have accessories from other brands. 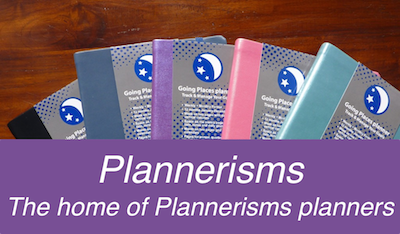 Over all, I think it's the flexibility it provides you, by giving you the chance to create a planner as individual as possible, with a wide range of styles and sizes. 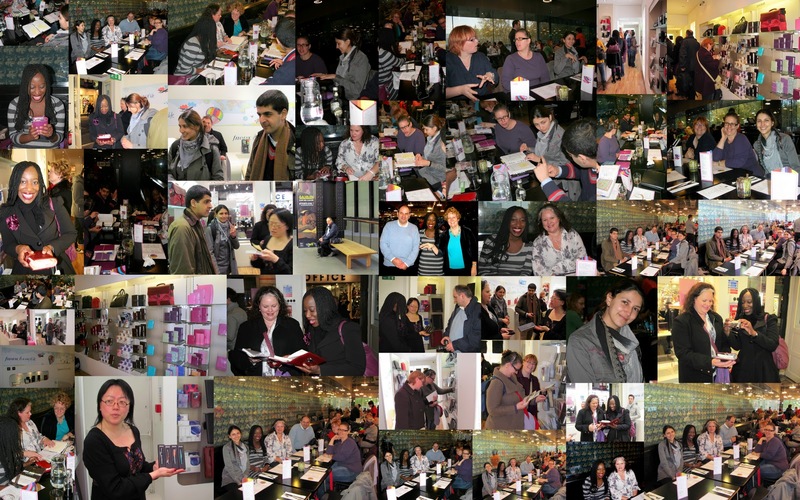 And of course, the individuality can be best experienced at a Philofaxy meet up! Well, this has been a major topic at the London meet up in March 2011. For the Mini Malden I don't have any special way of carrying it around. It's just put in my pocket or the backpack. Since it's a Mini, there's no problem at all, it fits anywhere. With the Personal Hamilton it's quite different. The oiled leather tends to catch any possible scratch and even more;) But, on the other hand, since it is oiled, every scratch can be easily removed with a slightly moistured cloth/finger or anything else. But as picky as I am, I'm in constant fear some severe damage could harm my beloved Filofax. So usually it's in my office bag, which has a cloth coated interior. Nothing can happen. When travelling, it's normally in a backpack, being tossed around and colliding with other items. This has been a true horror for me! That must have been around 90 Euros for the Personal Hamilton. Filofax planners used to be more expensive in the past, but when I bought it, it was a reduced, because discontinued one. In fact, Philofaxy is a great example for an on line community! We share a common interest, and are highly engaged in the topic. The website itself is so packed with information, and still the authors are doing a great job in rising new(s) issues. I love the various series, and I am always amazed how many users take part in the discussions. It's most amazing how many people post a comment for the first time. It clearly shows the great acceptance of the website, its idea of a community, and 'the love of everything Filofax'! And I definitely agree with Steve, who recently said that it would be great to transform this Philofaxy community into one's real life situation. Last but not least, the meet ups are definitely a point I love about Philofaxy! My last CD was 'I find you very attractive' by 'Touch and go', a CD I was long looking for, because it wasn't available as a (legal) download. It's electronic and dance oriented pop music from the nineties. I'm really a 80ies and 90ies guy! My last download was a concert from the German punk band 'Die Toten Hosen' (the dead trousers), recorded unplugged in Vienna. A great piece of music! Thank you Thomas (my old mate! ), I look forward meeting up again in September in London Town. So we have just gone past the longest day of the year in the northern hemisphere, I expect the children will soon be breaking up for their long summer holidays. So are you decided on your plans for a summer holiday yet? 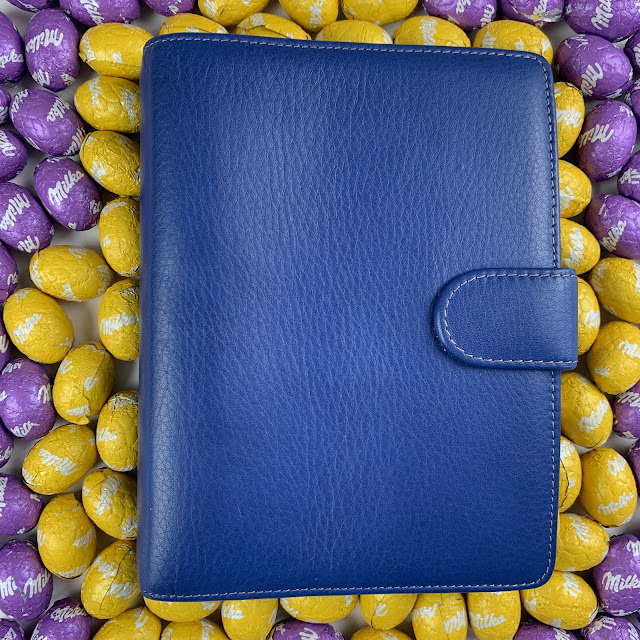 What part does your Filofax play in planning your holiday? However, as it's also Friday you care of course free to discuss anything else that is Filofax related. With the success of the first Philofaxy New York City meet up, there was some talk about doing a second one, possibly on 6th August. I know that this might be somewhat difficult between last minute vacations and back to school preparations, so I'd like to know how many people are interested. I'm thinking that the beginning of August (possibly the 6th) would be best so that we avoid the back to school craziness. 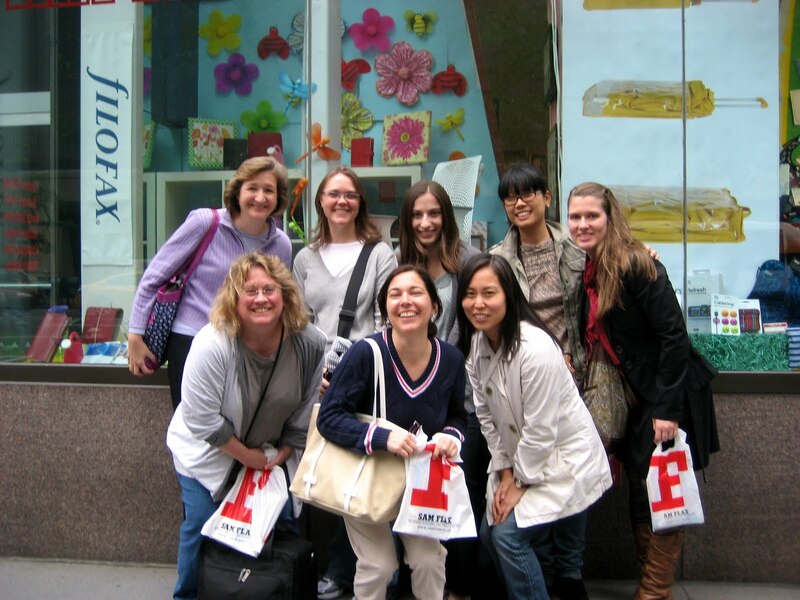 To make it easy, we can shop at Sam Flax on Third Avenue and dine at La Pain Quotiden, as we did in May. Once we have a list of those interested, we can discuss further details. To keep the meet up at a manageable level, there is a limit of 10 people. Please email philofaxy at gmail dot com and put NYC Meet Up in the subject line. The emails will then be forwarded to me. Second birthday? What's that all about? Well it's two years since I became a contributor on Philofaxy... doesn't time fly when you are having fun... and I've enjoyed every minute of the last two years on here. I will be honest that at first it represented quite a challenge for me to think of things to write about. I spent many hours composing and editing my first posts trying to get them absolutely perfect in terms of the wording and grammar. I still care about those things (I might not get it right every time! ), but practice makes an improvement (not perfect!). English and writing has never been a strong point even at school. I'm a lot happier moving numbers and formulas around on Excel, than I am composing lots of text in Word! I had set myself some goals to achieve when I joined the 'team', who made me very welcome. I have not completed all of the things I set myself to do, when I got the email asking me to join Nan and Laurie, but some things do take longer than you originally thought they would! My original post about Filofax Templates, which for some reason still gets read many times each week! The New York Meet up, I sat adding to that post as the pictures appeared on Twitter that night, it was great to see the smiling faces. The Philofaxy Magic had travelled to the other side of the world and it was working. It was quite emotionally touching to read the follow up postings, particularly Nan's post about the event. The many guest posts we have had in my time, although there were many before as well. And we always welcome guest posts. But this one by Jotje stands out from the many, mainly because it was so popular and again still read by quite a few people. And of course recently the Philofaxy Style Off. Thanks Thomas for making it so much fun to put together a very light hearted post. We both I'm sure you know enjoyed the comments on the post and on Twitter! And so many other things, I could list, it was difficult to know what to leave out! I also have to thank Nan and Laurie for putting up with my crazy sense of humour at times! They have been great supporters of things I've done and introduced in the last two years. And especially to Nan for inviting me to join back in 2009. And I can't finish without of course thanking you the readers, who have been fantastic, friends and loyal throughout this whole time. It's been great getting to know you all, thank you for all of your support either in the comments, in Tweets on Twitter, in those nice personal emails, and the odd Skype chats too and of course for travelling considerable distances to take part in meet ups. So what next.... well I have a few ideas up my sleeve that I'm working on to share with you once a few technical bugs are sorted out. I'm trying to bring you the latest Filofax news much quicker than I do at the moment. My focus of course will be on continuing to write posts on the blog, with the odd video review once in a while! I love smooth, soft leather. The smoother and softer, the better. Filofax likes to jazz up binders with textures, which is fine, as long as they don't exclude at least one line of binders with smooth leather. My Buckingham has completely smooth leather that is soft to touch but not flimsy or floppy at all. It has had a rough life and has proven to be resistant to gouges and scratches. I wonder if there is any equivalent in the current lineup? I know the Maldens have that soft buffalo leather, but it is "floppy" compared to the leather of my Buckingham. Do any of the new binders, or any others currently available, have smooth, soft, sturdy leather? 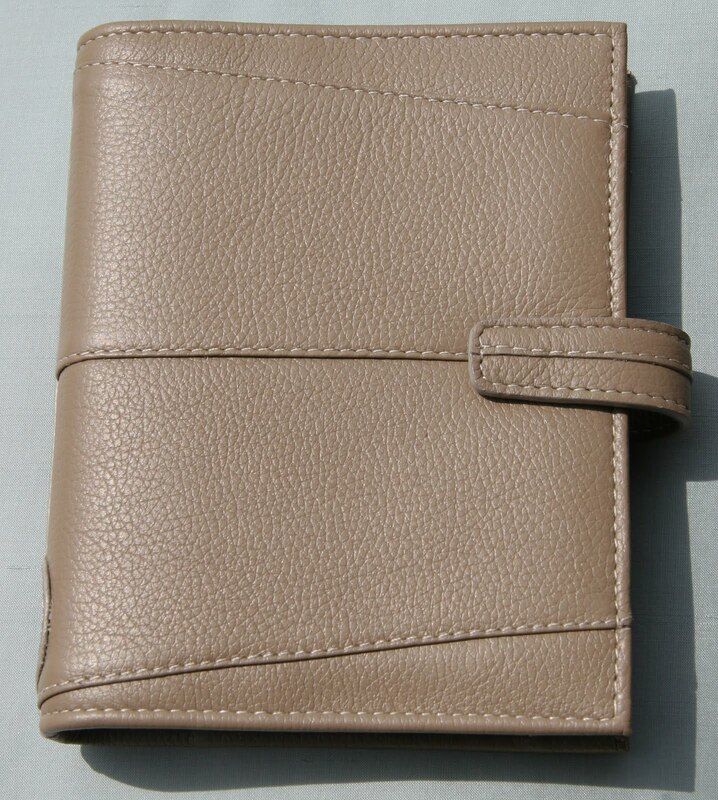 Filofax Pocket or Slimline as a wallet? Some of you might have been following my tooing and froing between the pocket and slimline as my wallet over the last few months. Both of them do the job, but in slightly different ways. Aside of my 'wallet' I've settled in to using my Personal Crimson Malden as my main central focus for information, diary etc that I carry around with me. Then at home I'm using my A5 Grey Malden with the page per day diary in it. This is working great and I love this layout. The A5, has a few other things in it, but not a full fill as yet. The personal tends to also be open on my desk when I'm there, so with both of them I have the week per view in the personal and my day view in the A5 which is sort of the best of both worlds if you like. So my 'wallet' Filofax, is relieved of it's diary duties, because I normally carry my personal Malden around with me as well. 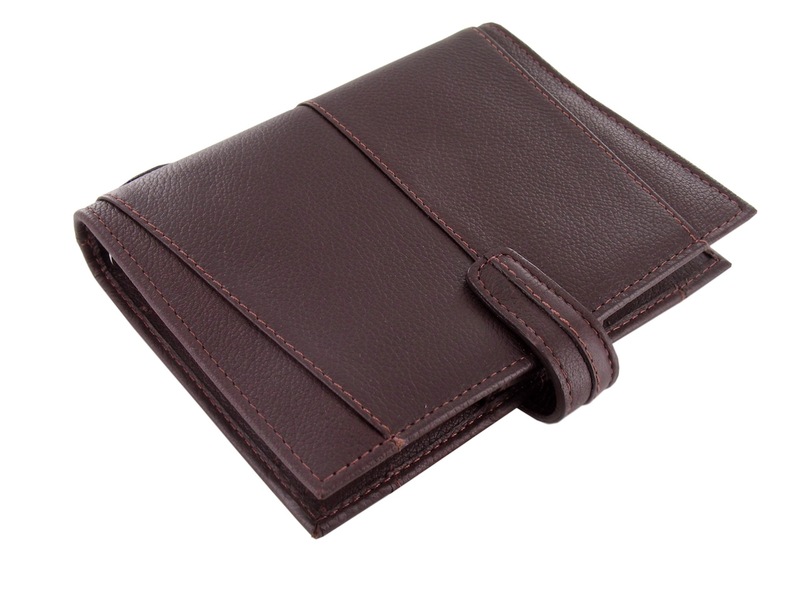 So as a wallet it only has to hold cards, cash, medial cards and certificates, passport, drivers licence, coins. So in the Chameleon Pocket this all fits in ok, but the coins in the zip pocket do tend to make it bulge a little bit, which I suppose is why I keep going back to the slimline because being bigger it's also slimmer. I also have my 'vintage' Filofax coin/change holder, this works really well. I suppose in a way it's also nice to have a change every so often as well, I feel less guilty about owning all of these things and not always using them! I suppose I fell in to the trap of my own enabling! Also swapping from one to the other only takes a few minutes if that! So for anyone else is thinking about using a pocket as a 'wallet/purse' as well a planner, my recommendations would be go for a pocket model that includes the full width back pocket, such as the Malden, Finsbury etc. But go for one that has the larger rings 19mm which the Malden and Finsbury both have. My Chameleon only has the 15mm rings in it, which works for me, because my page count is reduced. If you already have a pocket size, give it a try for a week or so and see how you get on. Free For All Tuesday No. 20. So what devilish questions can you pose for us this week?? Monday seems to be website change and news announcement day at Filofax around the world..
Also Filofax Sweden has launched their on-line catalogue, which apart from things we have already seen, it does feature some new models (Dakota, Pennybridge and Journey) and possibly some colours, we haven't seen to date... so at the risk of some serious enabling.... you should go and have a little peek at their catalogue. I've made some enquiries as to when the UK catalogue will be in on-line. Also don't forget this is the last week for votes in the Filofax Style Off competition on Facebook, please vote if you haven't already. Finds this weekend including a Malden post! 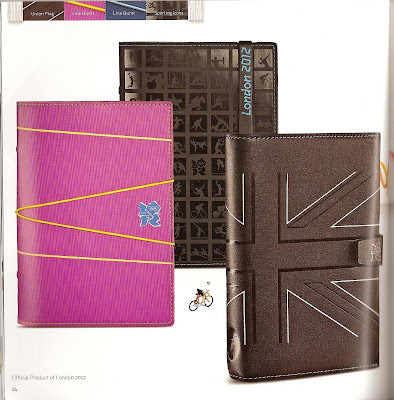 You can be forgiven for the vision that came in to your head just now when you read the title of a Filofax dressed up in shorts and a running vest... no not quite.. Filofax is an official London 2012 merchandise company, this means they can manufacture and sell products with the London 2012 logo on them. In the 2011 paper catalogue there are three new organisers, which have been designed with the 2012 games in mind. I've not actually seen any of these products myself yet, so the following information is based soley on the catalogue information. So from left to right in the above picture we have firstly the 'Lime Burst' this model is available in Pink and Blue in both Pocket (£32) and Personal (£37) and to me it looks similar to say the Domino. In the middle is the 'Sporting Icons' this is only available in black as show in the picture above. This model also comes in Pocket (£27) and Personal (£32) sizes. It looks like it has a large band closure with the London 2012 lettering on it. And then on the right is the Union Flag organiser. This model comes in chocolate 'nappa' leather and it is priced at £90 for the Personal size. I would have loved them to have produced a Union flag model in the traditional red white and blue... I suspect producing one that is durable is the main problem. I'm not sure when these new models will go on sale, possibly within the next few months I will make some discrete enquiries. I'm planning another Philofaxy Meet Up in London on Saturday 24th September. I will be flying back in UK for just that weekend and I'm looking forward to meeting up with people again. Numbers are likely to be limited again, so please only apply for a place if you are sure you can attend on the 24th September. The actual arrangements for the day are in their very early stages but it is likely that we will meet up at a convenient meeting place, have lunch at Tate Modern, discuss our organisers a lot! Then to finish off the day visit to the Neal Street Filofax store more or less as we did back in March. So if you are interested can you please email philofaxy at gmail dot com and make the subject of the message 'London Meet Up' I will make sure you are kept informed of the arrangements. I've been tinkering with Outlook 2003 again to try and find a format that would meet the needs of a lot of Philofaxy followers, who like me like to see a full week, but also need some space for To-Do's and Notes. If you have been reading the blog for any length of time this is a bit of a reoccurring topic for me! 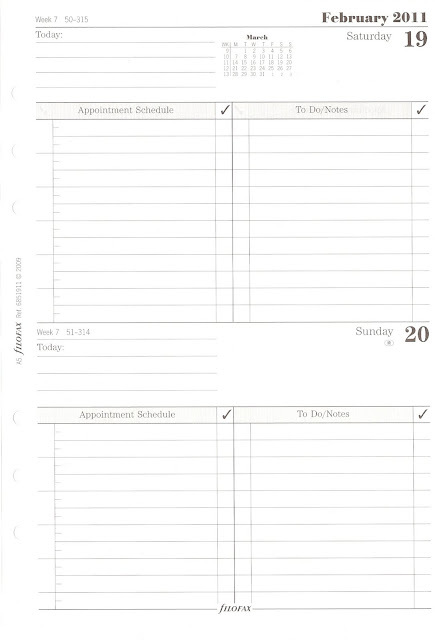 I've tried the Quo Vadis Planner series which are a vertical format, whilst that works for me. However, the QV inserts loose Sundays on the page. So may be not that useful for most people. 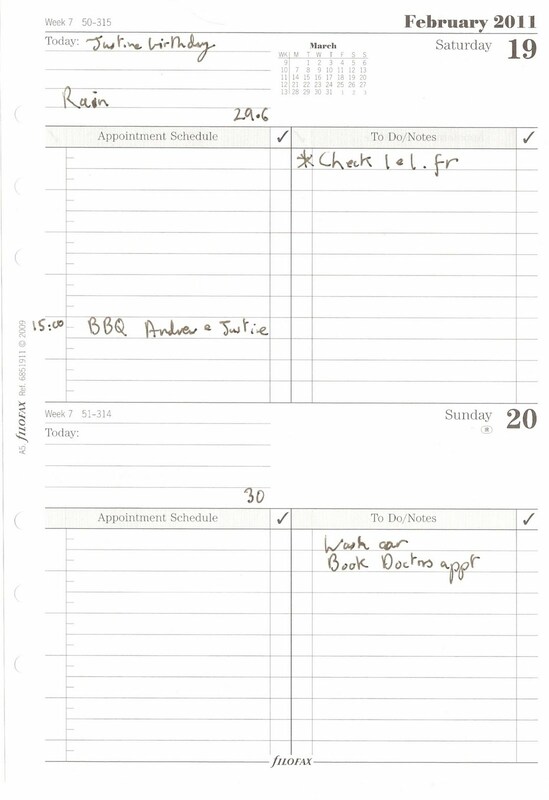 I've previously looked at Outlook and there at least a couple of posts on using it to print out blank diary inserts. Although if you wished you could create your new calendar with your birthdays and anniversaries already on the calendar in Outlook. I'm currently only using Outlook 2003, but I suspect later versions offer similar layouts? So this time I looked again at the Weekly style and by adding the Task Pad and Notepad. Remembering to add some 'blank' tasks as I mentioned in my previous post to get it to put in the blank tasks. This time I played with the font sizes to give you more space in to which to write in to. And here are the settings I used to create the page above, which I booklet printed on A4 size paper to give you A5 size pages. This I think is quite close to a nearly ideal lay out the only downside I suppose is the half size spaces for Saturday and Sunday. I can't see a way of swapping the Notes and Task Pad around, Outlook is fixed in where it locates them as shown above, and if you don't have Notes the space for each day on the right hand page is increased. I've previously used a similar layout to this for my A5 diary back in 2005 when I started using my A5. I might print out enough pages for say a couple of months and give it a try again in one of my A5 organisers. This Sunday is Father's Day, what are you getting your Dad this year? Any Filofax-related gifts? And as always on Fridays, the floor is yours to discuss anything Filofax-related. Have a great weekend everybody, and to all you dads out there, enjoy your day! You will I'm sure have seen the Filofax style off blogger competition on Facebook, and you might have even voted. "I know, mate, not right is it.....but we could do something similar if you are up for it?" He looked up and he smiled. 'We could do this and we could do this'. He was putting himself in to some fairly provocative poses. "Steady on, mate, you will be playing them at their own game.... No, we have to do this our way, and our rules, OK?" 'Sure,' said Thomas and we both went to decide on what the 'Philofaxy blokes style' really was. A couple of days later Steve sent Thomas a couple of pictures he had just taken. "What do you think mate?" "Well, I thought we could go for quantity and quality being that this is Philofaxy." "Yes, and what's wrong with that?" "Oh, OK, mate, I will do a bit more tomorrow, but did you notice the carefully groomed hairy arms?" He just walked away, muttering and shaking his head! "Well, mate, I've gone for the Jeremy Clarkson/Bud Fox look... the jeans and jacket look along with the red Malden which is the equivalent of Bud's red braces... a real 1980's look. 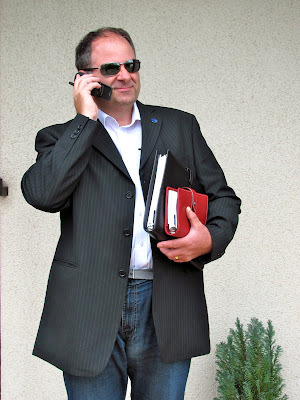 Oh, and the original working Nokia 7110 phone, although that is 1990's, I suppose"
When can I breathe out again? "Thanks, mate, yes, but don't worry it's back in the wardrobe already." "Cheeky b****r," cursed Steve. "Anyway for that you can buy the beers, then we will have a look at your photos." Thomas shuffled off to buy another round of drinks. On returning he put down the drinks on the table, then carefully looking around before he produced a plain brown envelope. "My word, what a pair of Bobby Dazzlers we are"
Steve just looked up and smiled... "Right, we will show them what 'Style Blogging is all about'"
"Cheers, Thomas.... now, about this third goal in the 1966 World Cup....... "
Thanks to Thomas for taking part in this light hearted banter and idea. Don't forget to vote in the real competition. Of course, Steve and Thomas are available for any future Filofax Photo Shoots you might be planning... competitive rates will apply. I've found some I forgot to include last time! 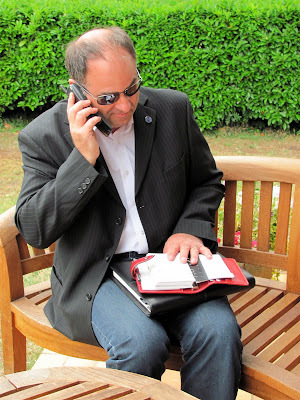 Worrying Filofax Dreams - Imysworld - Does anyone else dream about Filofax? 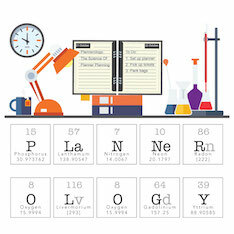 What's NOT in your Filofax? This week in our What's in your Filofax? series, the topic is what's NOT in your Filofax. As I mentioned in a previous WIYF, some people prefer to keep their contacts on their phone or computer so this information is not in their Filofax. I keep a separate planner, so I don't always use weekly diary pages in my Filofax. Other people use their Filofax as their diary only, and don't keep lists in their Filofax. What is commonly held in a Filofax but is not in yours? Labels: What's in your Filofax? We get some great questions posed in this now regular feature on the blog. Don't stop asking the questions, I think we all learn from them. Not much to report on blogs about Filofax over the weekend, I've been busy with some paid work for a change! But here are some news items of interest to you all I would think. http://www.caribbeanprincessmusings.com/ is the new web address for Caribbean Princess, although I noticed that my RSS feed still works, so you shouldn't need to adjust anything. 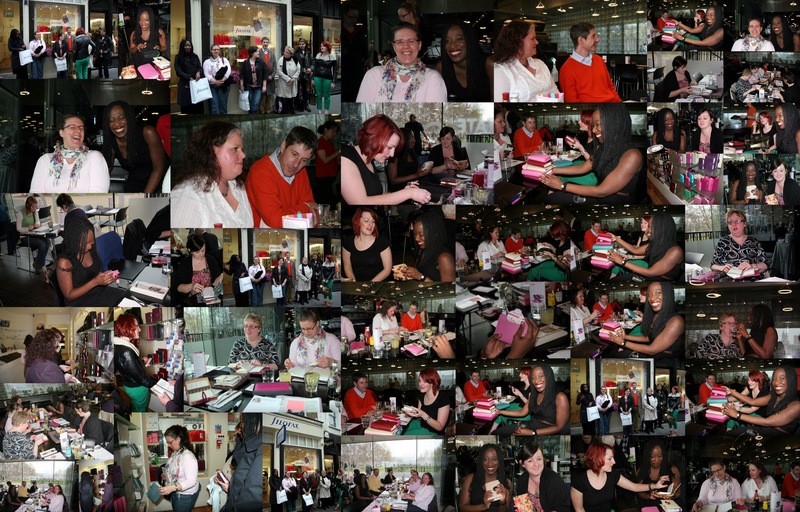 Don't forget to vote for the Filofax Style Blogger Competition on Facebook. And a big thank you to Imy for the big 'plug' for Philofaxy in her latest video, which is a 'must watch', I think I might know now where all our new visitors to Philofaxy are coming from! Imy is certainly putting a lot of effort in to her video tutorials, and there's lots of hints and tips in them. Following the success of a Mini Meet-up back in April, and the recent New York meet up. J and Sandra are looking for indications of interest for a Philofaxy meet up in Chicago in July. No precise date has been decided yet, but once a number of people have shown interest a date can be set, along with location possibilities. Please email philofaxy at gmail dot com and put Mid-West Meet Up in the subject line. The emails will then be forwarded to the organisers. There's more car buffs out there than I thought there was... thank you to everyone that took part. Q1. What is the name of the new luxury city car launched by Aston Martin in the last year? Q2. Which car is it based on? Q3. In this years Le Mans 24 hour race, Aston Martin are entering two cars in the LMP1 catergory. Name the two British drivers that will be driving the cars. Again thank you to every one who took part, over 30 correct entries were received, and only a few incorrect entries. With the success of the first Philofaxy New York City meet up, there was some talk about doing a second one, possibly in August. And for those of you wondering when the next UK meet up will be. I hope to be able to announce this in the next few weeks, I need to check up with the people we normally stay with in the South East first. Where did this week go? It seems like only yesterday that I was on Skype talking to the everyone. But what a chat is was, I think at one point we had about 13 people taking part on voice. The chat lasted in total over three and a half hours! Good job there's no phone bill to pay on Skype calls! Not everyone was on-line the whole time, some people disappeared and then came back later. So it all went very well and quite smoothly in fact. I think it was the best one yet, well from my point of view. As always the atmosphere was very light hearted and congenial, so next time we have Skype Round-Table in July do come on line and join in. But it is Friday so please feel free to discuss anything Filofax related and have a great weekend. 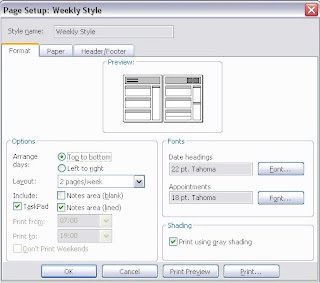 Filofax UK are sponsoring a Fashion Blogger Style Off. And today they will be posting the details on their Facebook page for their followers to vote on the most impressive outfit that matches the Filofax used by the blogger. Filofax have challenged each blogger to create outfits inspired by their new Apex Collection - which celebrates this seasons colour blocking trend. Voting commences today 9th June and continues until 10am 24th June. Links to the blog sites will be on the Filofax Facebook page. Please give your support to this competition and support the competitors taking part. Some more web/blog posts for your to read and enjoy. 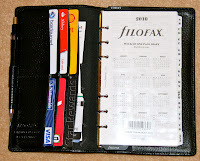 This week in our What's In Your Filofax series the question is, what do you keep in your Filofax year after year? I keep addresses and contacts as long as they are relevant. If I have more than 3 addresses marked out on a page, I replace the page with an updated one. I keep all my accessories, maps, birthday lists and reference information year to year. I keep previous years' goals lists in my Filofax so I can see how my goals change over time. What do you keep in your Filofax year after year? Thanks to our reader Tim, the Flex has gone live on the website today. Some items aren't available yet but you can now see the full range on there as well. As I've said before this is quite an interesting/exciting development for Filofax, I hope it proves popular but of course not to the detriment of Filofax organisers! So apart from the quiz questions.... what questions do you have for us today? So I've done a quick video of how to fold your A3 map so it can fit an A5 Filofax. Wow what an event that was yesterday. 13 people involved and a total length of the conference call was 3 hours 37 minutes!!!! In a way the chats are similar to a meet up, except that instead just chatting to your immediate neighbours sat around a real table, in the Skype chat you hear everyone and everyone hears you. So you sometimes have to be a little patient to break in with your comment! But I thought it really worked well yesterday. Not all 13 people were there all the time, one or two disappeared to talk to their families and then were surprised we were still chatting away so they came back again! Thank you for your patience as well, getting the conference set up at the start can be a little hectic whilst everyone gets connected and we do the introductions... Skype names versus Twitter names versus Comment names... Yes it can be a little confusing, but we get there in the end. About an hour after we finished I then had my bi-weekly Skype chat with some old buddies of mine who are all retired radio engineers... quite a contrast! Although last night the discussion was mainly about CCD cameras used for astro physics, one of our group used to work at the observatories on the Canary Islands. I didn't need much rocking to get to sleep last night!!! So once again thank you to everyone that took part in the Philofaxy Skype Round-table. I think the earlier time worked better for some people, I would be interested in your feed back on that point. It certainly meant that Laurie could join in and I know she loves taking part because then she feels less isolated in a time zone sense. Until the next one in July..... Thank you.. 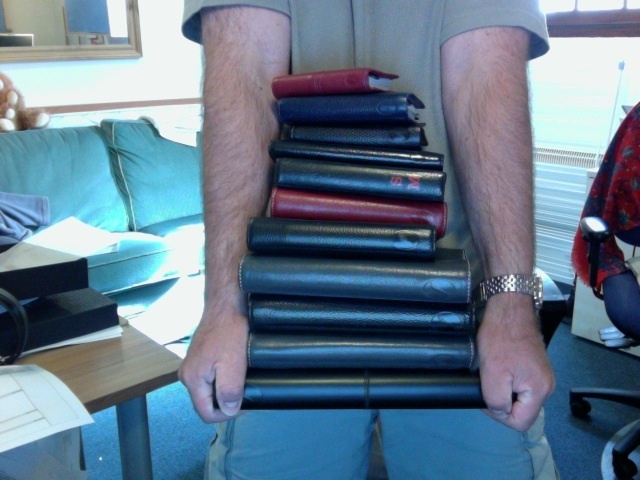 If like me you have recently tried going to just one Filofax. 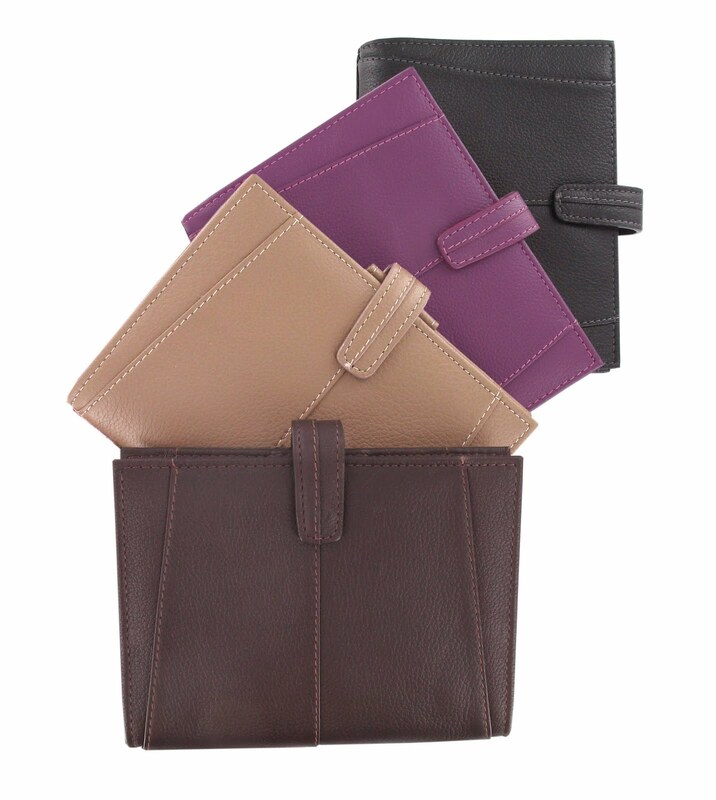 Or you are downsizing from an A5 to Personal or from any Filofax with two pen loops to one with only one pen loop. Then you might run in to the same problem I did. I like to enter future appointments in pencil and record past events in ink. I'm not a big pen buff like some of you so I don't know the difference between the various makes and types etc. But at someone's suggestion I took a look at 'Multi Pens'. I had come across these before, but I didn't realise you could get some that were a combination of a pen and pencil, or multiple pens and a pencil. My other concern was the diameter of the pen barrel, so that it would fit my Malden. So I made an enquiry with 'Cult Pens' in UK and Michael Randall of Cultpens really came up trumps with some suggestions. It's worth noting that the Ohto version can only take Ohto's refills - standard D1 refills are too wide at the tip. Thank you Michael for these suggestions. It had also been suggested to me to take a look at the Pilot Frixion series of erasable gel pens. These are a clever ink pen that using friction from the tip of the pen it erases the writing without damaging the paper and without leaving behind any eraser dust. I bought one of their standard range a few weeks ago to try it out in my Filofax and I've been very pleased with it. There is a Frixion Slim version, This has an 8mm diameter barrel, which does fit a Filofax pen loop. These will also take refills as well. What pen do you use with your Filofax? I bought an A5 Day Per Page (Business Style) diary insert a couple of weeks ago at a vastly reduced price of £1.00!!! It was in clearance sale in a store in UK I was visiting the other week. OK it was five months in to the year, but I thought it would be a good opportunity to try out this format to see if it worked for me or not. The other thing I should mention at this stage is that I've never used a page per day diary of any sort before now. So this trial was voyage in to the unknown. Clothing Size Equivalents - It seems I'm big in any size where ever you are! The Diary it self which is page per day Monday to Friday and a single page for Saturday and Sunday. 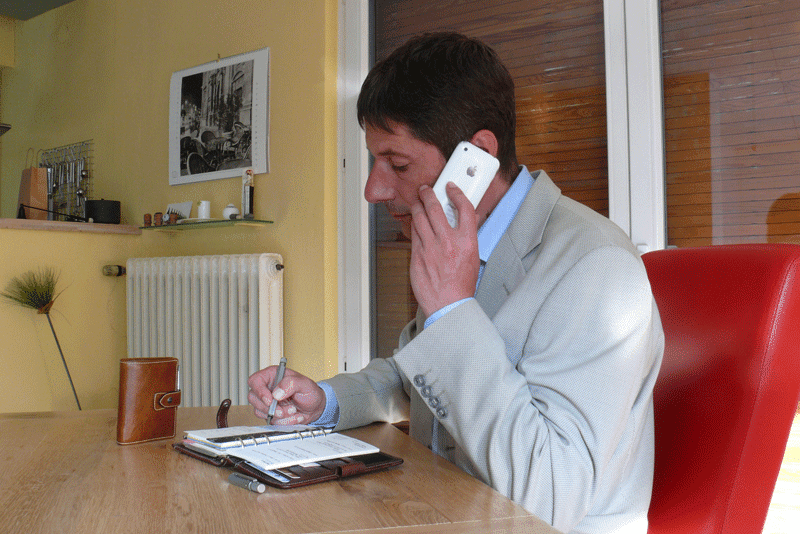 So most of the above content is common to most diary inserts, so I will concentrate on the diary pages themselves. So note that this format is only in English, which I prefer as the other languages tend to clutter the page in my opinion. International holidays are indicated with the country code under the day. 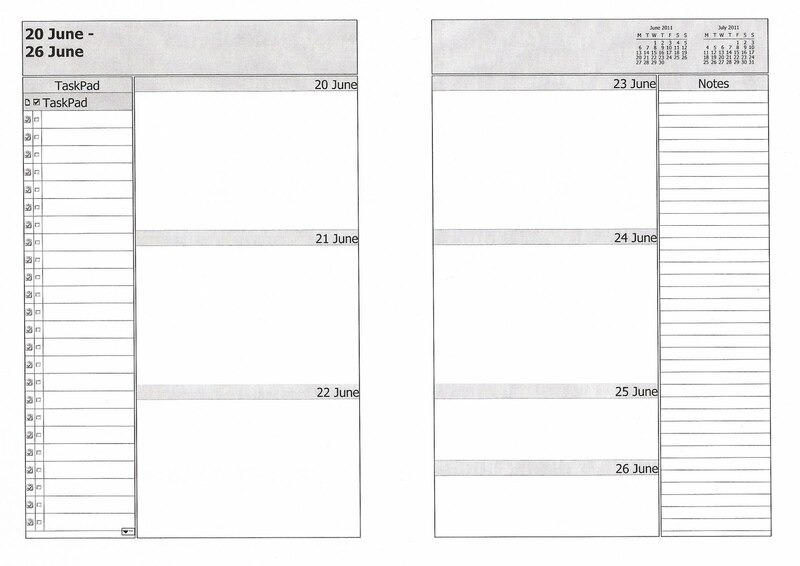 A small monthly calendar block appears on each page. The Week number and the days in to the year and the number of days until the end of the year also appear in the header. 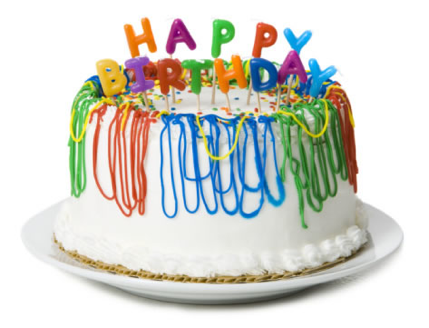 Today, gives you somewhere to add general notes, birthdays and other 'all day' events. Then in the left hand column you have your appointment schedule from 07:00 - 19:00 hours, but with some blank space below for later appointments. There is also a tick column to check off things during the day. 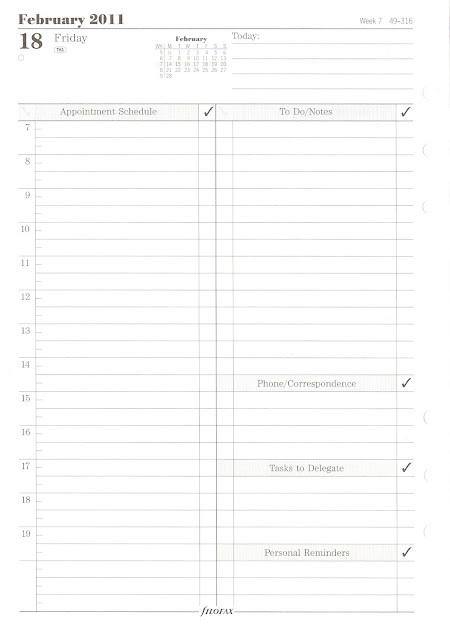 Moving over to the right hand column it starts with To Do/Notes, then Phone/Correspondence, Tasks to Delegate and finally Personal Reminders. Saturday and Sunday are similar, but there are no specific times in the Appointment Schedule and there is only the To Do/Notes. There is however, still the same header information. So firstly ignore the fact that it's on pages from February... no it's not warm enough for a BBQ in February! The appointment schedule is fairly self explanatory. The To Do list I really like, I add to these lists during the day. Tasks that need to be done that done that day I add an * in the left column. Tasks that I complete get ticked. Ones that don't get completed are copied over to the next day. I put non-critical tasks at the foot of the To Do list. I occasionally include the weather that day in the Today notes as well as our swimming pool temperature. Overall I'm very pleased with the way this insert works for me, having the to-do list visible every day is a big bonus for me. Looking back through the past days I can see at a glance from the tasks completed, I can see what I was doing each day and how long it took me to get around to doing something if a task is copied over from one day to the next continuously. 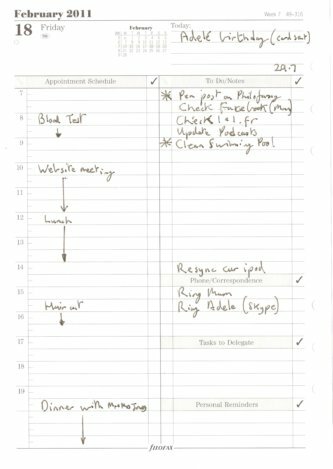 I also write in tasks that I do that I hadn't put in the list to start with, a lot of satisfaction from seeing things ticked off! I'm not sure if I'm using this insert as the designer intended, or in true GTD style, but as with all of these things you can easily adapt them over time. I have the diary set up in my A5 Malden, so it sits next to me on my desk all the time. So I will be ordering my A5 Page per Day insert for 2012 soon. Posts at this end of the week were not in abundance, but there are some interesting ones all the same. And here is Imy's first impressions of the Flex by Filofax, she is was very excited, but you can forgive her for that I'm sure! 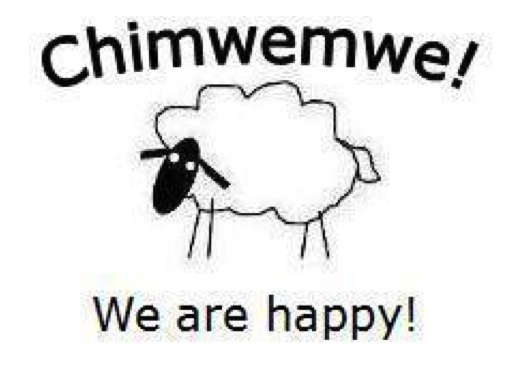 Enjoy and have a great weekend. I've probably mentioned earlier that I sometimes note the weather in my Filofax. Only when it's unusual weather, like a big snowstorm. '12" snow' helps me remember what was happening that day. We certainly had unusual weather last night -- a tornado hit Massachusetts, which almost never happens here. Ooops, it's a cliché to talk about the weather, isn't it? Anyway, talk amongst yourselves and have a good Friday. 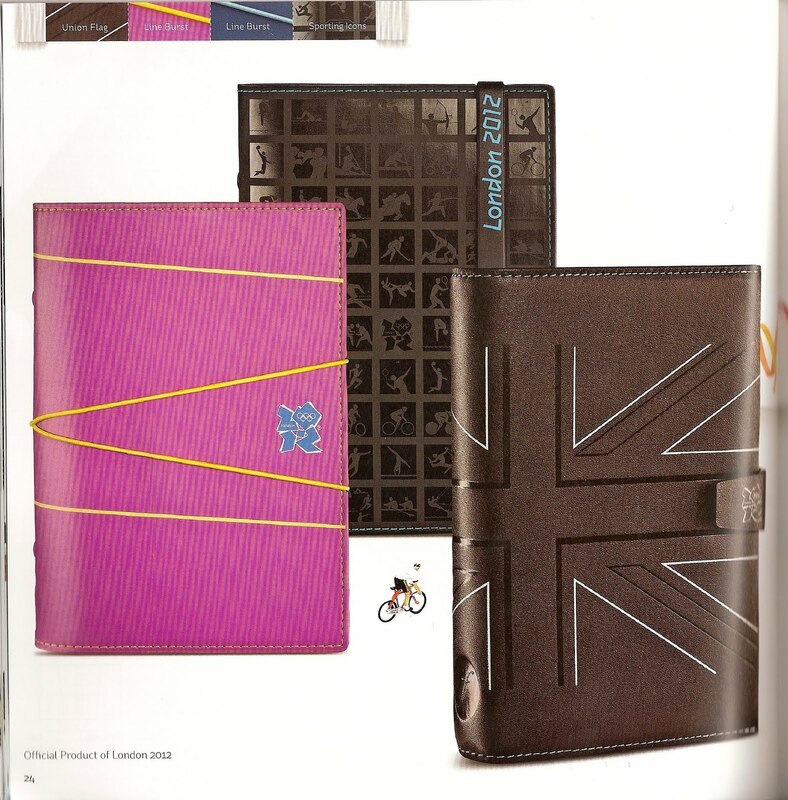 Calling all Dutch Filofax Fans! It has plenty of space, huge tables, a great menu, lots of parking around and of course, it is conveniently located near Rotterdam Central Station. Bring your Filofaxes, Succes planners, and join us for a long lunch. If you are interested, please email Philofaxy philofaxy at gmail dot com and put “Dutch Meet Up” in the subject line. Those emails will be forwarded to Alice and she will then email the interested parties herself and create a list so that we can start discussing ideas and the timing of the day. So you have read the review about the new Filofax Aston, now you can have the chance to win the review sample kindly supplied by Filofax UK. But being Philofaxy, we just don't get you to put your name in the comments box and we pick out the lucky winner out of a hat... nope we expect you to work a little bit for your prize. 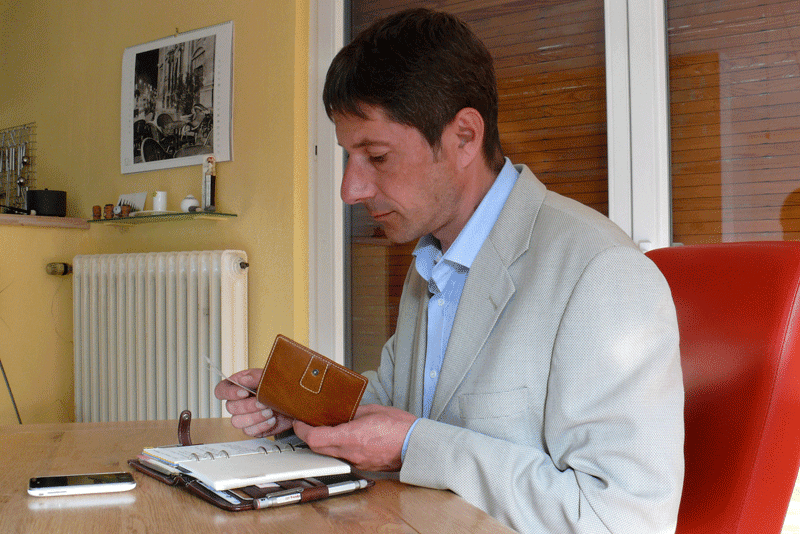 In the review I mentioned how the design and quality of the Filofax Aston reminded me of cars. Aston Martin is a UK luxury car maker known world wide, in the same way that Filofax is known for producing luxury leather goods. But not everyone can afford an Aston Martin, or can they? What is the name of the new luxury city car launched by Aston Martin in the last year? Which car is it based on? In this years Le Mans 24 hour race, Aston Martin are entering two cars in the LMP1 catergory. Name the two British drivers that will be driving the cars. The winner will be announced at 15:00 (French time) on Saturday 11th June, which is the start of the Le Mans 24 hour endurance race. The answers to the questions will also be made public at the same time. You must provide Philofaxy with your name and postal address if you wish to enter this competition. Philofaxy will only ever use your personal details for the purposes of administering this competition, and will not publish them or provide them to anyone without your permission. The winner will be contacted personally. The prize must be taken as stated. There will be no cash alternatives. Philofaxy does not accept any responsibility for late or lost entries due to the Internet. Proof of sending is not proof of receipt. Philofaxy reserves the right to cancel this competition at any stage, if deemed necessary in its opinion, and if circumstances arise outside of its control. Today in our What's in your Filofax? series the topic is information. As we all know, I love all the international information that comes in the Filofax diary inserts. (Click here to see my post about it.) I like to have as much information in my Filofax as possible, so that it's right at my fingertips when I'm out and about or traveling. In my personal Deco I keep an entire tabbed section labeled International that houses all the international information pages from my Filofax diary inserts, for easy access. I like being able to find dialing codes, lists of holidays and religious festivals easily. Now that I'm living in Indonesia I especially use these pages, because here there are lots of holidays I'm not familiar with. Luckily the Indonesian holidays are indicated on the day spaces (as RI), there is a list of Indonesian holidays in the International Information pages, and if I don't know the significance of the date I can usually find it on the Religious Holidays list. Holidays from a variety of religions are recognized here including Christian, Muslim, Buddhist and Hindu, so it's nice to be able to reference these easily. I also use the international clothing size charts, and I especially appreciate that children's sizes are included! I also have a page from my Franklin Covey weekly inserts that has a list of Holidays and Observances for 2010 through 2015, which is very handy. I even have a perpetual calendar page that I cut out of a pocket size planner a couple of years ago and taped onto a Filofax page to fit on the rings. It allows you to determine what day any date falls on in any year from 1800 to 2050. For example, what day is April 25, 2020? It's a Saturday! 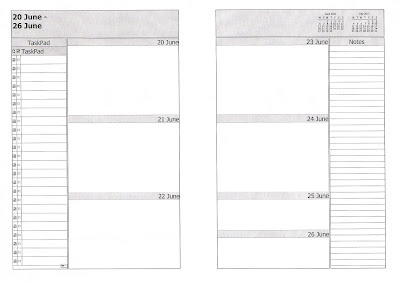 What types of pre-printed information pages do you like to keep in your Filofax? Or, do you feel like these pages clutter up your book and you prefer to keep them out? 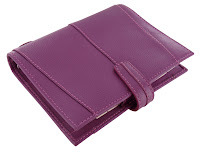 The Filofax 'Aston' is one of the new styles released in 2011. As its name implies the Aston is at the luxury end of the product range. It is made from 'Deluxe Leather', the stitching detail as you will hopefully see from the photographs is quite delicate and very well done. So how does the 'Aston' compare to the other organisers in the range... ones you will most probably be more familiar with. My first impression when I opened the package was 'Finchley'. It has the same soft feel of the Finchley mini that I have. It is very soft to touch, but may be not as supple as say the Malden, but no were near as stiff as say a Finsbury or a Classic. 19mm rings, yes I've measured them! This is the same as the Malden. 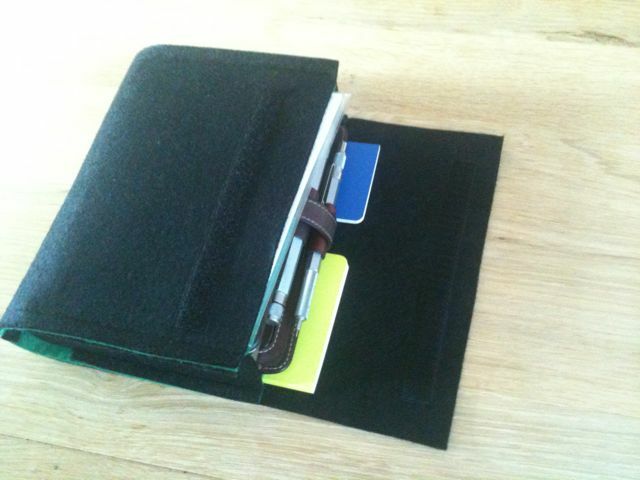 On the left hand side there are four horizontal credit card slots, and a full length vertical pocket behind them. On the right hand side there is a leather zipped pocket. On the Finchley this is a mesh pocket, not as nice as the leather on the Aston in my opinion. There is also an elasticated leather pen loop. The Aston comes with cotton cream inserts: Diary(Week on Two Pages), To Do, Ruled paper, Addresses, Three letter index, Brown ruler. What the Aston pocket doesn't have is a full width exterior rear pocket, which the Finchley doesn't have either. But what it does mean is that the pocket size does lay flat virtually from day 1. I compared it to my 'broken in' Chameleon pocket, which does have the rear pocket and the Aston does lay flatter than the Chameleon pocket. So the lack of the rear pocket or the ability to lay flat could be a decider for some people. However, when I have tried the Aston out as a Wallet/Filofax and it holds everything that I need to carry: Passport, Drivers licence, Credit Cards. The rear pocket I only use for paper money and as I carry less and less of that these days, the lack of the rear pocket on the Aston wouldn't be a big issue for me. They continue on to the back of the organiser as well, but without the centre stitching, so just like a boot or trunk of a car. Without the stationary you can see how flat the Aston lays. A close up of the inside front cover. And also a close up of the base of the spine, stitching all the different panels together must be quite a task, even if it might be done by a machine these days. And finally open with the cotton cream stationary back in place. The Aston is available at present in the following colours: Black, Chocolate, Orchid, Mushroom. It is available in Pocket, Personal and A5 sizes. and the prices range from £72 for the Pocket, £83 for the Personal and £125 for the A5. These prices are the same as the equivalent size Finchleys. The Aston I'm told will be available on the Filofax website sometime in June 2011. I would like to thank Filofax for the opportunity to review this new model and for sending me this free sample.